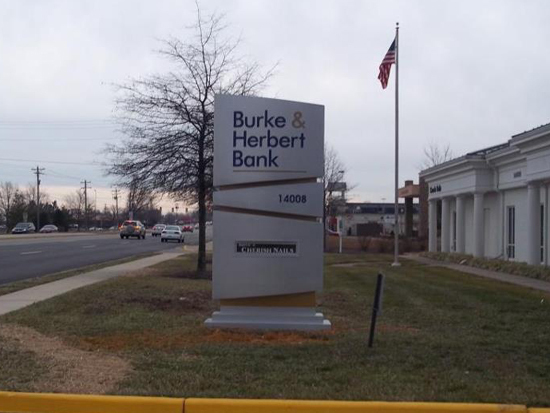 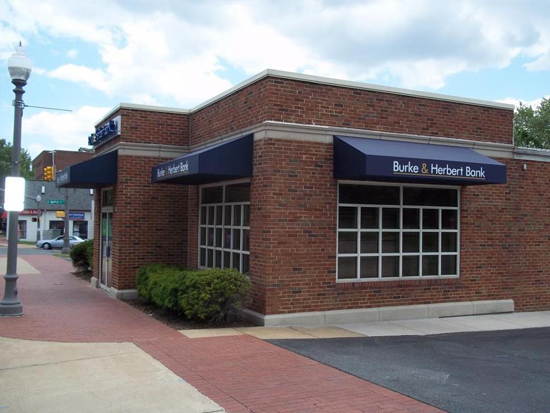 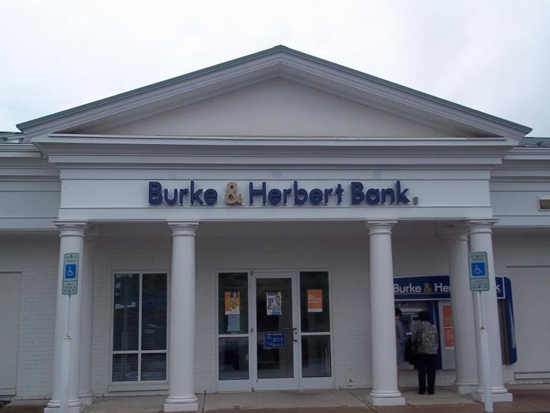 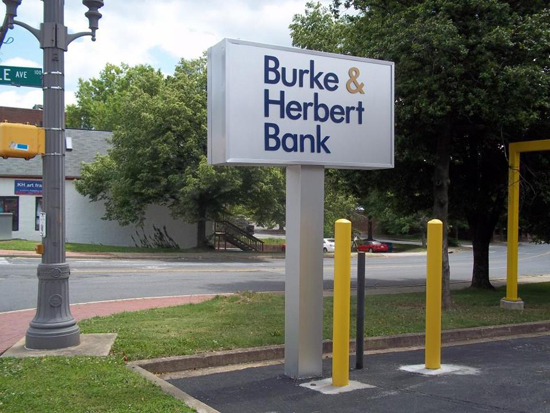 A variety of sign installations for Burke & Herbert Bank including pylon signs, monument signs, flush mounted LED channel letters, awnings. 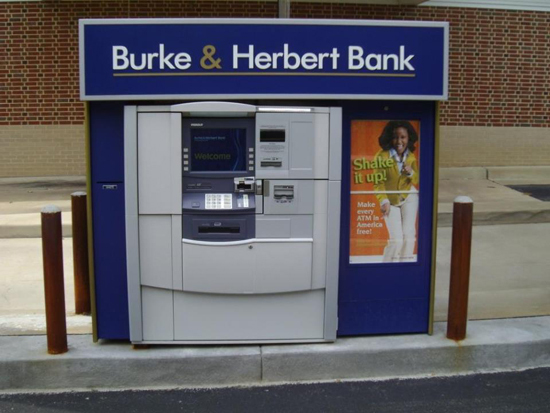 Also a custom ATM surround with illuminated header panel. 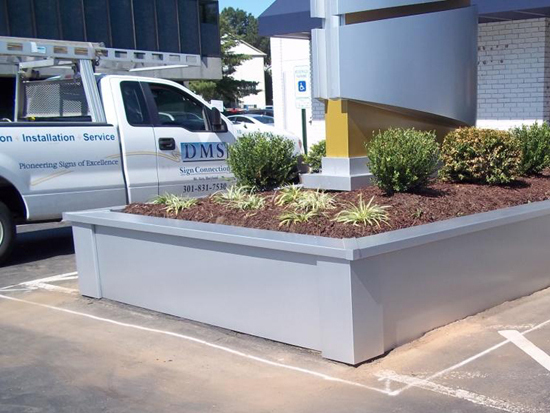 DMS installs signs for the bank in Maryland and Virginia. 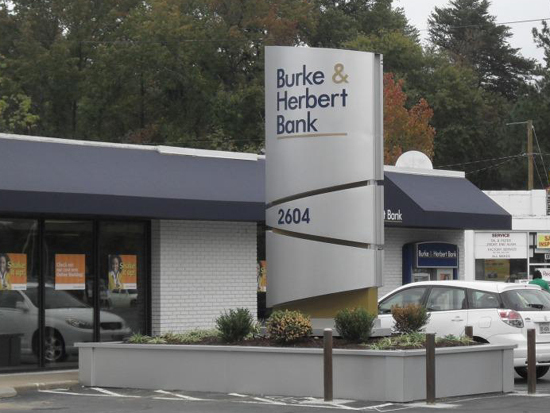 Jamieson Ave, Cooper Road, Fern Street, Franconia Road, King Street, Interparcel Road, East Monroe Avenue, Sherwood Hall Lane and South Fairfax Street in Alexandria; Annandale Road in Annandale; 23rd Street South in Arlington; Old Keene Mill Road in Burke; Lee Highway in Centreville; Wayside Drive in Dumfries; West Broad Street and Seminary Road in Falls Church; Centreville Road in Manassas; Backlick Road in Springfield; Maple Avenue in West Vienna; and Smoketown Road in Woodbridge.